Published on March 20th, 2018 | by Justin G.
If you’re an Angra fan, and especially if you’re a long-time fan, you have to get used to change. 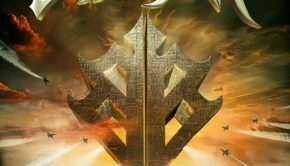 The Brazilian progressive/power metal band’s lineup has changed several times – often in quite significant ways – over their nearly three-decade career, and it did so in a big way prior to the release of Ømni, the band’s ninth studio album. Ømni is the first Angra album not to feature founding guitarist Kiko Loureiro, who left to concentrate on his higher profile gig with Megadeth. That leaves just Rafael Bittencourt as the only member left from the Angels Cry lineup. Loureiro is replaced here by Almah’s Marcelo Barbosa. 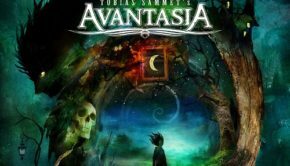 Aside from the constant lineup shifts, another Angra trademark is that you never know what kind of album you’re going to get, as they do simple, catchy power metal, epic concept albums and more progressive albums equally well. Ømni is an interesting mix of all three that takes a few spins to really solidify. It starts on a more power metal footing with the straightforward “Light of Transcendence” and “Travelers of Time” (both of which find vocalist Fabio Lione sounding uncannily like Edu Falaschi) before taking a hard left with the almost jarring “Black Widow’s Web,” which features guest (harsh) vocals from Arch Enemy frontwoman Alissa White-Gluz. 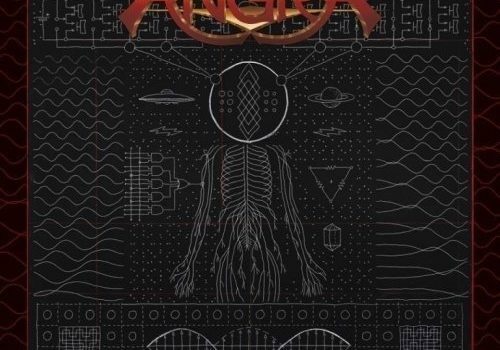 The middle section – “The Bottom of My Soul,” “War Horns” and “Caveman” – emphasize the kind of Brazilian percussion that has always been part of Angra’s signature sound. Towards the end, the 8-minute “Ømni – Silence Inside” has some of that epic Temple of Shadows quality, though the instrumental “Ømni – Infinite Nothing” ends up being an unsatisfying closer. Ømni does seem a bit unfocused at first, and that’s unusual for an Angra album. The individual songs are strong though, and shine through with repeated listens. Loureiro’s presence is missed (though he does lend a guest solo), but the rest of the “Lione-era” lineup seems to be gelling well. Ømni probably doesn’t surpass Secret Garden overall, but it is still a really solid progressive/power metal release and a worthy addition to the Angra legacy. 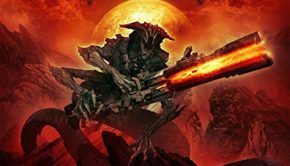 Edition Notes: The CD version of Ømni has one unlisted bonus track, a 2017 rerecording of the Holy Land classic “Z.I,T.O.” It’s an interesting new rendition, but it inadvertently shows how hard it is to replicate Andre Matos’s unique vocals. Angra: Ømni (EarMusic) Justin G.
Summary: It takes a few spins to gel, but there's some good material here.